Cheap stock and complex valuation assignments are a core service of NAV. 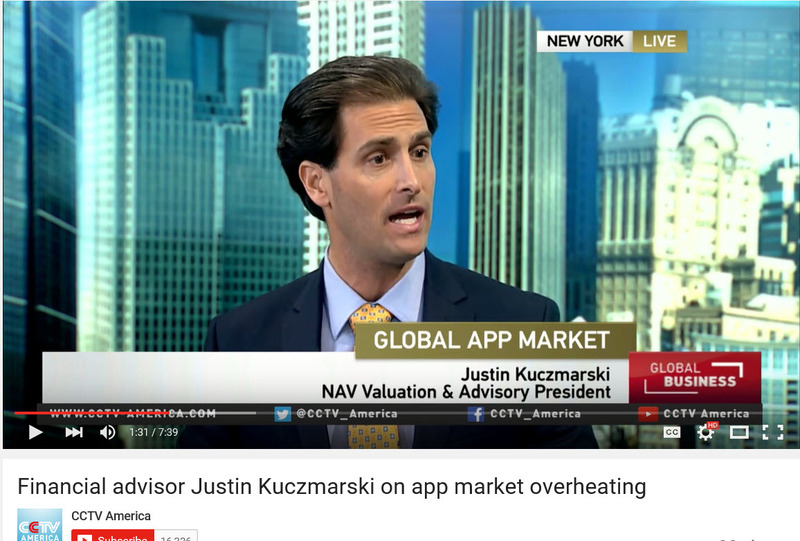 Please click the TV interviews below for more technology and M&A insights. We have performed and reviewed these multi-layered business valuations for most industries and for notable initial public offerings (IPOs). Cheap stock and complex asset valuation starts with the 1) enterprise valuation of the business. The next step is then the 2) allocation of the total business enterprise value ("BEV") into the various classes of equity and debt. Finally, either management or the valuation team may have to 3) value options if the subject company has various option tranches. Option valuation analysis is prevalent for most firms. Many healthcare and technology start-ups are likely candidates for cheap stock valuations, and these firms have issued significant options to employees and founders. It is no secret that healthcare, technology, and Internet companies use sizable option grants to motivate and retain employees. These payments are often in lieu of cash salary or bonuses. Growth industries frequently have multiple layers of participating preferred equity from venture capital funding and other financial sponsor investments. The core focus of our cheap stock valuation practice is centered on firms in the aforementioned industries. In the dynamic world of new business, all start-ups plan on a liquidity event, whether it is a possible acquisition of eventual IPO. For the successful firms that reach this tremendous milestone, accounting regulators prior to an IPO heavily scrutinize the fair value of equity-driven securities. Why? The issuance of equity securities triggers a compensation expense on the income statement, and all expenses in the immediate time frame before an IPO generally receive detailed review. Furthermore, in many IPOs, the fair value or price of equity securities is significantly lower than the IPO price. This differential between private equity share price and post-IPO public equity price produces the "cheap stock" characterization of these early-stage valuations. NAV's team deliver cost-effective and supportable valuation services such as 1) strategic M&A advisory 2) valuations of overall business enterprises and corresponding debt, equity, and any options, and 3) intangible assets. We perform our services on a flat-fee or hourly basis with leading attorneys, alternative investment funds, CFOs, CPAs, and other C-suite corporate executives. We strongly feel engagement scope and fee ranges should be communicated effectively and efficiently.